Diploma in Cibtac Puspita Martha , Lee Na Young Pitangui, Classic Women Academy. Juara Umum Makeup Pengantin Rekor MURI 2013. Our Motto : 'Revealing Your Beauty', as every woman is an unique individual. 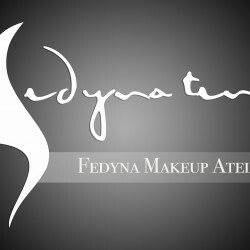 With the right makeup to enhance your beauty. Personal Beauty Class. A 3 days sessions where student will be thought on basic skin care, knowledge on makeup tools and cosmetics, Daily Makeup, Evening Makeup, contouring, how to apply scotch and false eyelashes. Materials will be provided. Natural Glamour Makeup and Hairdo for evening party / convocation etc. Makeup and hairdo for morning and Retouch for evening. Korean Water Shine BB Glow + Ultrasound include: Free 1 New MTS Needle, Free 1 Facial Sponge, Free 1 Korean Mask, Free Ultrasound Treatment. For best results we recommend treatment done once every two weeks.